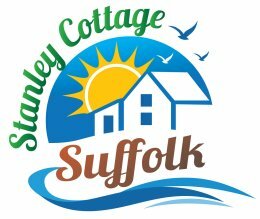 Stanley Cottage is currently being renovated and will be available for self-catering holidays from October 2018. Click to contact! Leiston is a quaint Suffolk town with a steam museum, leisure centre with swimming pool and its own cinema. It also has a few pubs, many shops and takeaways and 2 social clubs (one of which is open to non-members). Nearby beaches can be found at Sizewell (1.5 miles), Thorpeness (3 miles) and of course at Aldeburgh which is a shoryt car-ride of 4 miles away. Other attractions in the area include Leiston Abbey in Leiston, Minsmere Bird Reserve RSPB (3 miles), Snape Maltings (6 miles), Southwold (10 miles), plus National Trust at Dunwich, Sutton, and Orford Ness.